So, after much deliberation and receiving nearly 150 entries, we have come to a decision! The winner of the 'Do a doodle every day' competition is Sidney Hoskin age 7, with this fabulous 'Disco Spaceman' design! Thanks again to everyone who entrered our 'Do a doodle everyday' competition. We have had almost 150 entries, including a handful all the way from LA California! Harvey, Toti and my stunning grey, looking very handsome after winning his debut show hunter class competing this weekend. Meet our two new additions to the team... a couple of lovely Eriskay ponies, Max and Percy! The afternoon sunshine was lovely at Fennells Farm over the weekend. NEW YEARS RESOLUTION NO.1 - "DO A DOODLE EVERY DAY"
As part of our new year's resolution we are encouraging everyone to draw more and do a doodle every day. Moon - 16.1 ID x homebred filly, 5 years old. By ID Frove Warrier. Carefully broken and brought on. Thanks to everyone who came down to see Nell, Tweedy, Bibi & Bichu at the White Horse Bookshop in Marlborough on Friday. After thirteen different and beautiful locations across the Cotswolds, from Winchcombe to Cirencester, we are finally packing down our tent for the winter! Thanks to those who have come near and far to see 'The Thunders' at Cirencester, a simply magnificent audience! The remaining tickets for Cirencester, the official end to our tour, are now sold out! Olympus Cameras have got 100 free tickets to come down to the circus at our new home Fennells Farm, Lypiatt next week and photograph some extracts from this year&apos;s show, with the guiding hand of portrait photography legend Damian McGillicuddy. Follow the link for more information. It was the last of the booksignings today, and what a wonderful way to end them! Here is some lovely behind the scenes footage from BBC Wiltshire of the circus, including great interviews with Nell, Mr David, Virgile and Tweedy. 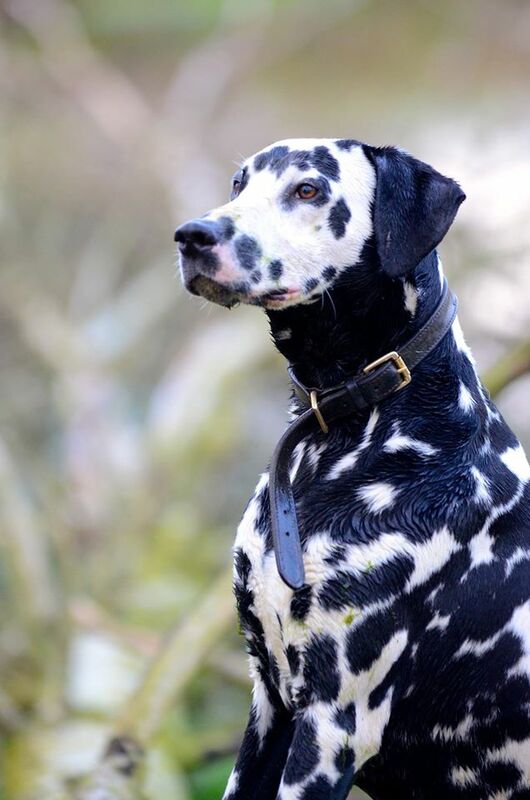 An absolutely exceptional home is wanted for our beautiful Dalmatian Domino. He has completed one season with Giffords Circus on our current show The Thunders, receiving lots of training, exercise and attention. Domino is a very sensitive, responsive, and intelligent dog, who will benefit from a hands-on owner affording him lots of time. 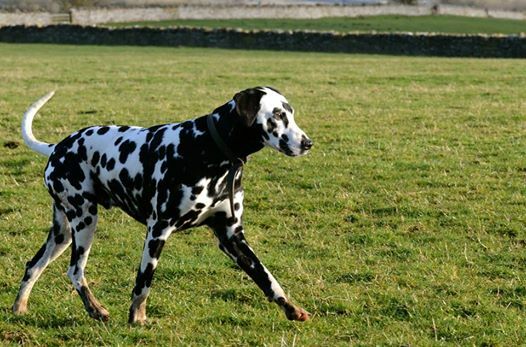 Dalmatians are bright, strong dogs and so Domino needs to be somewhere where he will have plenty of regular exercise, and we will be taking this into consideration when placing him. Giffords Circus is bringing their 2014 tour to a close with a surprise release of seven extra shows at a new and exciting venue - Fennells Farm, Lypiatt. After fourteen years we have finally outgrown our home at Folly Farm and are moving our entire HQ to just outside Stroud. We hope as many of our fans, friends and family can join us in celevrating this momentous occasion. We will be playing at Stroud, Fennels Farm, Lypiatt, GL6 7LJ, from Thursday 18th September - Sunday 21st September. *The Saturday 10 AM show all tickets are £10. **Special fundraising show followed by Hog Roast for The UN Refugee Agency on Saturday 20th Sept, 7PM. Call our Box Office on 0845 459 7469 to book your tickets. We've left Minchinhampton Common behind, and now we have sprung up in Bath - Alice Park. Thank you to everyone who came to see the show in Minchinhapton, such a brilliant place with cows wandering between fields and across roads - and through circuses -, some beautiful little stone houses and so many people coming down to see the shows! The company had a well deserved day off on Wednesday, and after a few weeks in village greens and commons we are all taking the opportunity to spent a bit of time indulging in some shopping, some coffe ad cake, and a few of us have even taken a luxury visit to the Spa. After months of showers, anything resembling an actual bath is utterly glorious. Thursday brought round our opening show in Bath as well as a parade from Toppings Bookstore to the Museum of Bath at Work for a talk about Giffords Circus and how it came to be. Thanks to everyone who came despite the rain, and for some wonderful questions about the circus, we hope you all learnt a little more about us and about the circus tradition, and we hope you enjoy the show this weekend! And also a thank you to Toppings Bookstore for organising the day. We've got a big bank holiday weekend ahead with 9 shows in three days, so we'll be trying to take things a little easier this weekend. To check availability and to purchase tickets ring our Box Office on 0845 459 7469, or you can also purchase tickets from our on-site Box Office (though you'll need to bring cash or cheque).